I've been reflecting back over this past year for the last couple of weeks. I read over my New Year's Eve post from last year....and I've come to a realization. I. Have. Done. Nothing. With. This. Year. Yup, there it is. The horrifying and startling realization. I made a list of goals for 2012 on that last day in 2011 and I have not accomplished one of them. 1. Read through the Bible completely. Didn't happen. No excuses. 2. Spend quiet time with God daily. Off and on. No excuses. 3. Read at least one book a month. Started out really well for the first 5 or 6 months and then fizzled. No excuses. 4. Get some form of exercise daily.That one's easy...I'm lazy. 5. Eat healthier, count calories, and treat my body like the temple of God. Okay, I'm getting depressed. 6. Keep my house clean and get organized. I do...and then it forms into its messy disarray again. 7. Get out of credit card debt and save money. We're actually working on this. I hope by this time next year I can say we have accomplished this. 8. Set aside at least one night a month to do something special with my husband (babysitter required). Well, we should really work on this. 9. Take more pictures - of Gabriel and us and everyone. Hey!!! I did take more pics and video of Gabriel. We still need a nice family picture that doesn't cost a lot though. Any takers? 10. Be more positive. Smile more. Don't take life so seriously. Find the good in every person that drives me crazy. Pray. Give. Be kind. Laugh. Be who I was and am created to be. I think I am actually closer to the type of person I want to be but I still have a looooooong way to go. So other than royally screwing up on my 2012 goals, I have asked myself, What have I done with this year? Really not much. I don't feel like I've made much of a difference at all....in my life or anyone else's. The simple truth is that I have got to do better. I have to be a better Christ follower, wife, mother, daughter, friend, teacher....person. So for the first time in...well, ever....I am not going to make New Year's "Resolutions." I am simply going to decide to strengthen my relationship with Christ and with people and follow the steps needed to make that happen. I certainly have things that I really want to accomplish this coming year and beyond and may write out that "bucket list" of sorts at a later date but for now, suffice it to say that I just want to do and be what God wants....whatever that looks like. I can't say the year was a total bust though. I did start a new job that I love. I did enjoy time with family. I have been challenged spiritually more at Fuel than anywhere else. I did have a blast watching my boy learn and grow and make me laugh. I did learn a lot about myself and have tried to rectify certain situations. This year brought new challenges that we faced head on and hopefully with some grace. My faith has certainly been strengthened and I can say that I trust God for His provision more now than I ever did before. He has remained faithful even when I was faithless. So while I feel like I haven't done much this year, God has been doing A LOT! I am promising that 2013 will be different. I don't know what that will look like but it will be different. So this time next year, I can look back and answer my "What have I done" question with pride. Here's to 2012...you came and went too quickly. 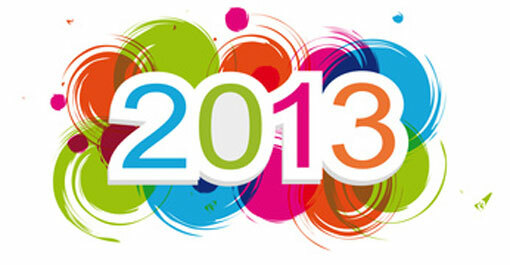 Here's to 2013...we're going to make it a memorable one. I've had a lot of time to think about things this Christmas season. Once again, hubby and I are low on funds and cannot afford a big Christmas. We put three gifts on layaway for Gabriel and were able to pay for those but we do not have the funds to buy for each other or for other members of our family. He has been able to make a few things for some for Christmas which is really nice but we just don't have a lot to buy for people. And you know what? For the first year since we've been unable to buy for others (it's been several years now), it doesn't bother me. The statement from above about not being to "afford a big Christmas" is a false statement because Christmas is not something you "afford." Christmas cannot be bought. Christmas is a season for family, for giving thanks for what we already have, and for remembering how a baby boy came to save us all. I don't mind not being able to buy a lot of stuff, even for Gabriel (besides, he's well taken care of by his Tay Tay I'm quite sure). He will learn at a young age that Christmas is not about the gifts under the tree. I want him to grasp the real meaning of Christmas. I want him to get into the giving spirit. When he gets something new, I want him to give another toy away to a child who may not have anything. I want us, as a family, to find ways to bless others instead of worrying about how we are going to afford stuff. That's all it is anyway...stuff. I've had a hard time this year telling people what I "want" for Christmas because in my mind, I'm thinking what do I need? And honestly, I don't need anything. I have everything I need. I have a roof over my head and we can easily make the payments. I have a car I can drive to work and am able to put gas in. I have food in the refrigerator. I have clothes on my back and many in my closet and while I haven't been able to buy new clothes in a very long time, I don't really need any. I have a beautiful family. I have a lot more than the majority of the people in the world. I am blessed beyond measure. Honestly, I could not ask for more. God has given me more than enough. Simply having the love of my Savior, a very good man, and a precious boy is enough for me. What hit me first was how many moms and dads are spending Christmas overseas fighting for our country. Their kids would gladly give up any gift just to spend Christmas with them. 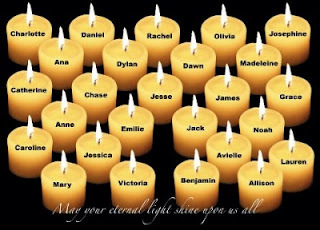 And now with the tragedy in CT, how many mommies and daddies and sisters and brothers are wishing they could just have their son or daughter or brother or sister back instead of anything under the tree. So the Grinch had it right when he said that Christmas doesn't come from a store. We'll have a wonderful Christmas just being together. My earnest prayer this season is not only that we would remember the true reason we celebrate but also that the families effected by the tragedy will feel peace from above as they endure this season with missing pieces from their hearts. Originally, this post was going to be on the topic of gun control as I was frustrated Friday evening by all the posts on how the tragedy Friday morning was an issue of gun control. But, people will always have their opinions (which they are fully entitled to) and I don't feel like stirring up more controversy. Now is not the time to be controverial...not when 20 families are mourning and grieving the loss of their babies and 6 more the loss of wives, sisters, friends, daughters. So all I will say on the matter is that the real issue Friday was a HEART ISSUE. It was a matter of the heart. And inside the heart of the "human being" (I use that term loosely here) that took those lives Friday was pure evil. Plain. And. Simple. So instead I will post about the matter of where is God in all of this? Our Pastor spoke a bit on this at church this morning but even before he uttered a word of his very powerful message, during praise and worship, the thought came to me that we often forget God knows what it feels like to lose a child. He watched His only Son die. We forget, yes, even Christians, that He knows and understands the pain and agony that can only be felt by those who have endured the death of a child. Not only did He watch His son die, He watched Him take on the sin of the WORLD. Yes, Christ rose again, and because of that, we have hope - even in death. Our Pastor spoke some on the fact that God created Adam with the ability to choose. He creates all of us with the ability to choose. He doesn't FORCE us to love Him. As our Pastor said, that would not be true love and God desires true love. With that choice comes the decision to do good or do evil. Unfortunately, in our world today, many people are choosing evil. We tend to shake our fist and yell, "God! Why aren't You doing something?!" We forget that He's already done it all. He's asking us the same question, "Why aren't you doing something?" For those that claim the name of Christ, that is a very good question. He has equipped us. He has shown us and modeled for us exactly what we should do. The choice, however, falls on us. As a teacher, I equip my students with the skills, I model and demonstrate what they are supposed to do for an assignment but it is ultimately up to them to do it. The same goes for us. The Teacher has taught us. Now, we must GO and DO. So where was God? He was right there...holding those babies. And believe me when I tell you that God's justice prevails over man's. Yes, the coward took his life which means justice on earth isn't really done, but God says, "Vengeance is Mine." And I am quite certain His vengeance trumps any that a human can give. In this tragedy, I have come to realize that as a teacher, I would do the very same thing. I would give my life to protect my 66 5th graders...every last one of them. They drive me crazy. They talk too much. The girls are full of drama. Some of them are way too whiny. But at the end of the day, those are my kids and I would put myself in front of them to protect them. I would do whatever it takes to make sure no harm came to them. I can't imagine how it must have felt on that campus that day and I pray that in time, they will heal. You ever hear that phrase? "Well, I had the best of intentions..."
Chances are, if you've known me for any length of time, you've heard me say this a time or two (or three or four). I'm going to get real transparent here for a minute. I am going to confess: I. Am. A. Best. Intentioner. Yup, there it is folks. I said it. I made up a word too. That's when you know I mean business. I've always wanted to be the kind of person others could depend on and count on, the type of person that does what she says she is going to do. And when I say I'm going to do something, in my heart of hearts, I really truly desire to do that something. I truly believe that I will get it done. So what happens between the "going to do" and the "just didn't get to it?" I don't have an answer for that one. I can make excuses: "I didn't have the money," "Life happened," "Something else came up," "I just didn't have the time." But these statements are just that: excuses. Now of course there have been times where I really had plans to do something or finish something and honestly circumstances out of my control crept up and got in the way. It happens to everyone. But 8 times out of 10, it's my own laziness that gets in the way. Training for a 5k or half marathon: doesn't cost money - I'm just lazy. Serving in certain areas: doesn't cost money - it just hasn't been "convenient." Planning certain things for my students - there's that laziness again. Cooking a meal I've planned after being at work all day - laziness. God has really convicted me of this: my laziness. My idleness. It's not okay. But I'll be honest, laziness is actually a habit and it's a tough one to break. I think sometimes we rename our laziness. We call it "relaxing," or "taking a breather," or "exhaustion" and of course sometimes we do need to relax and sometimes exhaustion is very real. But in my case, it's usually a good old-fashioned case of laziness. I want my intentions to turn into actions. I want to be a "do what I sayer" instead of a "best intentioner." So all it boils down to is making sure I spend time in the word, getting off my bum and exercising, serving where I'm needed no matter how uncomfortable or inconvenient, following through with my plans, and cooking the meals that I have planned. It doesn't seem like a lot right? That's because it's not. It's really not. I just have to be intentional about my intentions. I have to follow through. As Nike would say...I have to "just do it." No more excuses. No more doing nothing. No more bailing on my plans. Time to do what I say I'm going to do.